If I had to describe Tadaku in two words, I’d say: intercultural cooking. We love cooking, we love cooking food from different cultures around the world, we love meeting people from different cultures around the world. This is intercultural cooking. 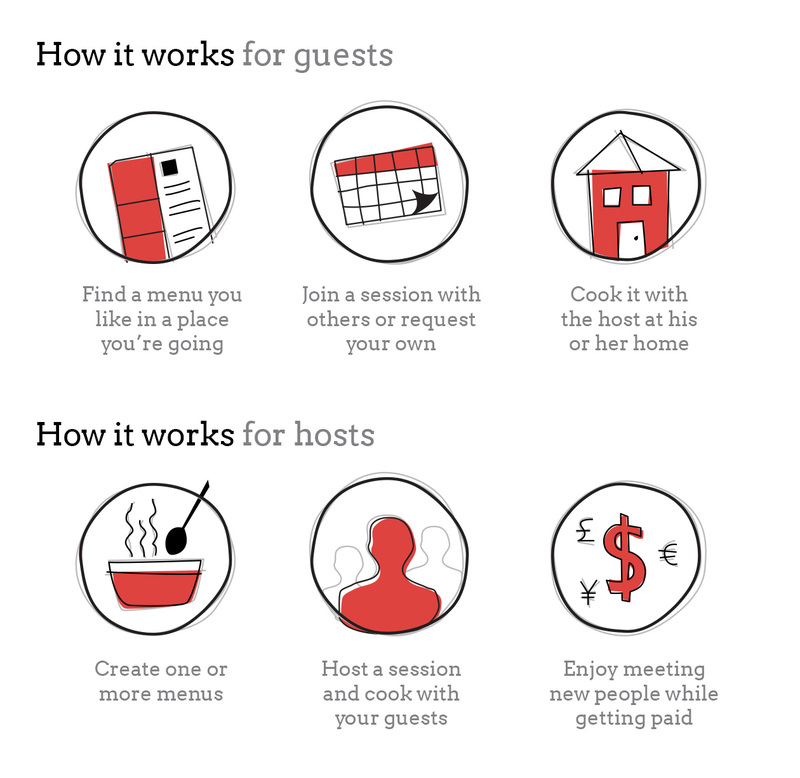 Tadaku is a service that aims to make intercultural cooking possible between people who might not otherwise have an opportunity to connect, and offers incentives to local cooks enabling them to share their cooking culture with the world. We think this service is awesome, but Tadaku is just one part of something bigger: a community of people who love intercultural cooking. There are cooking communities in every major city around the world, but intercultural cooking is different because it’s as much about people and cultural exchange as it is about delicious food. We feel this deserves a community of its own, so we’ve started an Intercultural Cooking Community meetup group in Tokyo for bringing people of all cultures together to share their stories and experiences and of course, their food. We hope to see you at an upcoming event! Happy cooking!